Truth: Did you ever write your name + a crush’s name out to see how it’d look? Today’s Wedding Wednesday is just that! 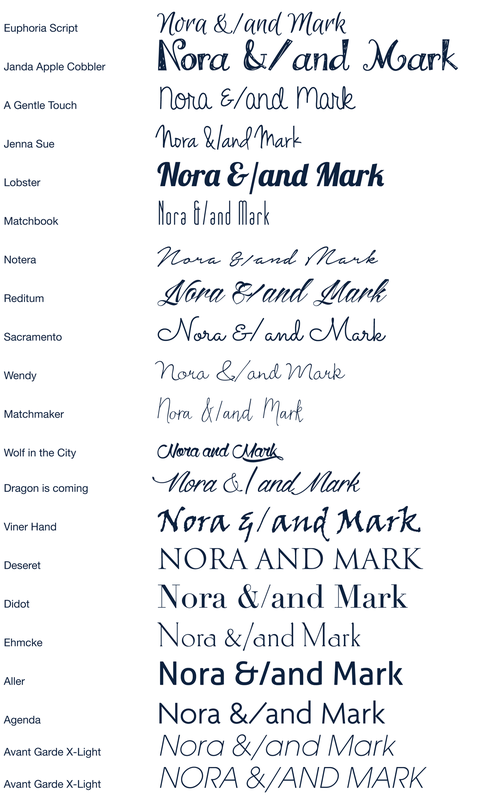 What typeface looks best and more importantly, does it match the style of the event and the taste of the couple? Do you have a favourite? What will work well for a Navy by the Sea nautical wedding? *Contest, the first person to identify the fictional couple will get a treat from me. Hint: They’re a couple from a movie that was released when I was entering grade six and I am pretty sure I wrote the actor’s real name + my name out many times. *And congratulation Anna Warren on winning a special Hello Sunshine birthday present! I’ll send it your way soon. That would be Pump Up the Volume, featuring teen heart throb Christian Slater.